No matter how much you love your job, there have been days when you have wished for the ground to swallow you up as you commute into the office. Be it a Monday morning when you still are feeling the effects of your Saturday night, or a tiring Wednesday that you’d been convinced was a Thursday. For whatever reason, that sense of dread can strike at any moment. 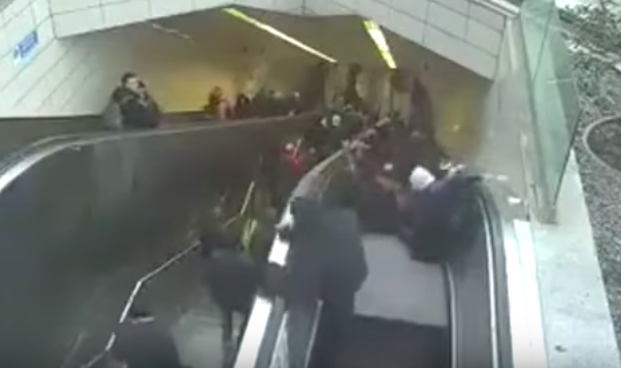 However, after watching this alarming surveillance footage from a Turkish metro station, you’ll never wish to be chewed up by the ground ever again. On February 27, commuters in Istanbul were going about their daily routine. Of course, the repetitive nature of commuting often means that we become complacent as we undertake our journey. We forget to look out for signs and warnings as we tread the familiar ground from our bed to our desk – rarely lifting our eyes from the ground. 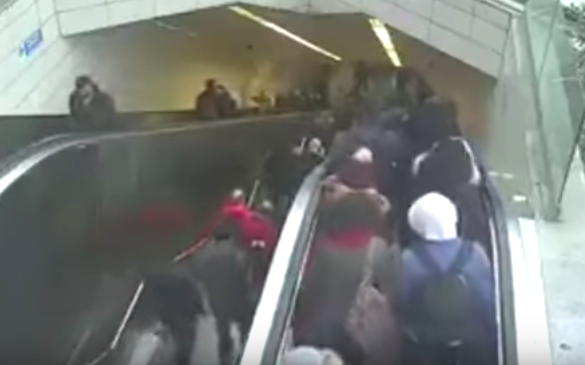 Thus, we could all have been victims of this malfunctioning escalator which swallowed up Mehmet Ali Erik as he navigated his way to the office during rush hour. It is alleged that there were multiple warning signs in place which tried to divert travelers from using the faulty escalator, but these were reportedly ignored by those wanted to skip the stairs. Unable to escape, Mehmet was swallowed by the escalator as it opened up like a black hole, where he became trapped for several hours before fire crews were able to extract him. He was rushed to the hospital where he was reportedly treated for minor injuries, including a fractured arm. This is incredibly lucky, as last year, a woman in China died after an elevator opened up and swallowed her into the mechanism. In her final moments, she was able to throw her son to safety. It’s a terrifying reminder of the importance of being vigilant at all times. Also, it highlights how important it is not to just follow the crowd!